So I received my CaseMade phone case last week and I was so excited. When I opened the envelope there was this beautifully wrapped gift inside. Admittedly I was shocked to see a phone case wrapped so beautifully. I ordered a case for an Iphone 5c, but was delighted to see that they did a range of Iphone cases including the Iphone 7 range which has just been launched. I opened the tissue paper to find this gorgeous tan coloured phone case. The leather on the case beautifully sewn. The leather is a wonderful quality and which looks as though it wont crease and fall to pieces. I mean come one lets face it we have all had that phone case that falls apart within a week. 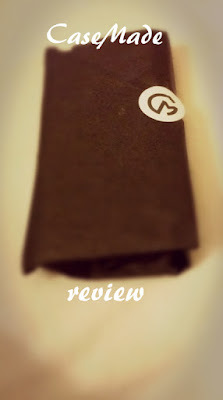 The case is also wipe clean which is a blessing if you have young children with sticky fingers. When I opened up the case i noticed it had 3 card holder slots on the inside flap, which is always useful especially if you enjoy a night out. They were beautifully lined and again didn't look like they would wear very quickly. The part in which the phone sits is also beautifully made. it has a gorgeous velvety type feel to it. It also feels as though it was made from a very thick plastic. The phone we used fit the case perfectly and was easy to get in and out of the case. The only downfall i found was that there weren't many cases to choose from. 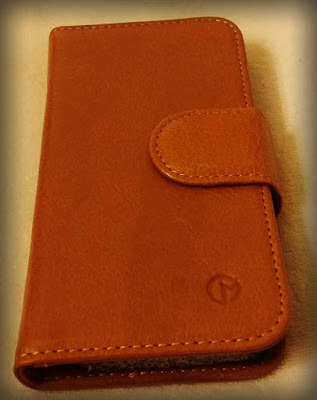 However, with this being a genuine leather case it is understandable. For a reasonable price of £16.90 ( This includes 24 hours dispatch, free first class delivery and a 12 month guarantee) i was very impressed. Overall I have to say that I love the and that I am so glad I was able to give it as a gift! 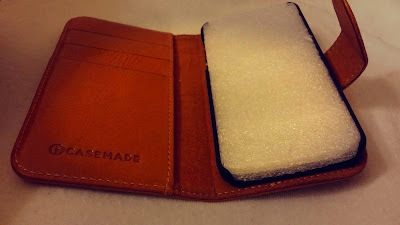 For all of Casemade's products click here!